Nearly three weeks since 4-year-old Na’vaun Jackson accidentally shot himself in the head with a gun he found inside a friend’s house in Oakland, Calif., the boy is making improvements, his family says. But with shooting, he’s become the latest victim of a tragic pattern with his family. He is now the fifth person among his relatives to be shot. The other four have died. “He’s moving now, he’s opening his eyes, he’s yawning, he’s coughing, he’s moving his hands, he’s moving his legs, what a miraculous turnaround,” Ramon Price, the boy’s grandfather, said on his Facebook page in early April, according to CNN. The gun allegedly belonged to Terrence Wilson, a family friend who was forbidden to own a firearm because of his prior felony convictions, San Francisco station KRON4 reported. 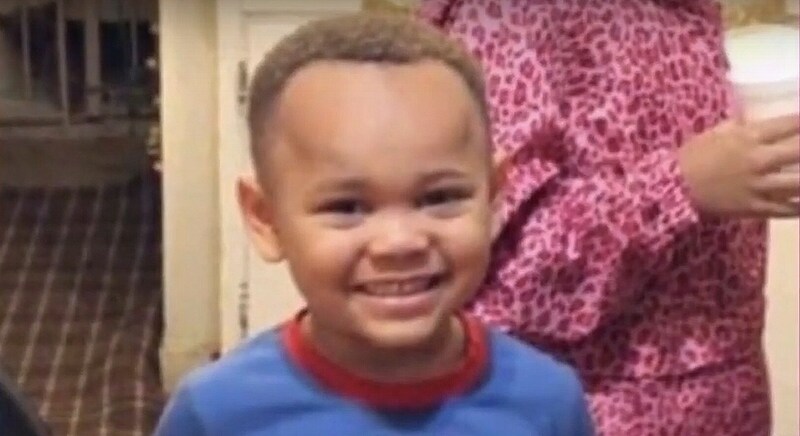 The gun was unlocked and loaded under Wilson’s pillow when the toddler found it, authorities said. Wilson has been charged with possession of a firearm by a felon and child abuse. The boy’s mother, Brijjanna Price, is still distraught and can’t talk about the incident, CNN reported. Na’vaun was taken to a local hospital and admitted to its intensive care unit, clinging to life. Initially, the situation looked dismal and family members, terrified that the boy would end up dying, kept a close vigil by his bedside. For several days, the family lifted Na’vaun up in prayer – staying closely by his side and bringing his favorite toys into his room. The first week was brutal as Na’vaun showed no sign of activity. Doctors put Na’vaun in a medically-induced coma, leaving an already worried and anxious family to wait to learn whether he would eventually begin to show signs of life. However, since the March 27 incident, Na’vaun has slowly improved and is now in stable condition, the family told CNN. He first opened his eyes. And then he began to move. Since he is now stable, he has been moved out of ICU. Ramon Price and the rest of the boy’s family couldn’t be more thrilled. “Before work after work all during the day you are on my mind PaPa loves you keep fighting Na’vaun and as you get better I get better,” Price wrote on the Facebook post. The boy’s great-aunt, Jamilia Land, told CNN they are happy at how far he’s come but know he still has an uphill battle to fight. The family was informed that the boy has permanent brain damage, Land said..
“We maintain our faith and pray that things will turn out and he will leave (the hospital), but with the extent of his injuries, he’ll never be the same,” Land said to CNN.